Diane Benton was born April 8, 1955 in Omaha, Nebraska to Marvin and Geneva Blackwell. She was called home February 6, 2019. Diane was raised and educated in Omaha, NE. She graduated from Omaha North High school in 1973. Diane married Mark S. Benton September 1, 1978. She continued her education and received her degree in accounting from Bellevue University. Diane went on to work as an accountant at Heartland Family Services for over 20 years. 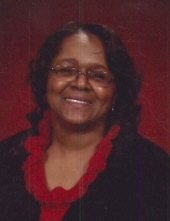 Diane was a faithful and dedicated member at King Solomon Baptist Church for over 20 years. She worked in the finance department, served on the Deaconess board and volunteered as much as possible until her health declined. Diane loved her family most of all and greatly enjoyed spending time with her six grandchildren. Diane was preceded in death by her parents, Marvin and Geneva Blackwell and sister, Geraldine Cobb. Diane leaves to cherish her memories her husband of 40 years, Mark Benton; Daughters: Karla Benton (Clyde Travis), Stephannie Benton; Grandchildren: Kendyl, DeAjia, Brielynn, Cara, Aaron, Clyde; Dozens of cousins, many other relatives, and friends. To send flowers or a remembrance gift to the family of Diane Benton, please visit our Tribute Store. "Email Address" would like to share the life celebration of Diane Benton. Click on the "link" to go to share a favorite memory or leave a condolence message for the family.